"Greetings from Danish Village." Four views on postcard, showing the tourist village in Scarborough, assembled in 1930. The village was destroyed by fire and closed in 1970. 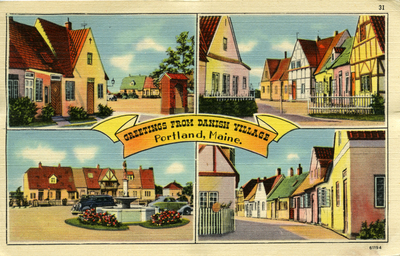 "Danish Village, Scarborough, Me." (2017). Portland Postcards. 35.